Shocking statistics reveal that male workers in construction have a suicide risk that is three times higher than the average for England and even those in skilled construction jobs also have an increased suicide risk. To address this unacceptable statistic, Hire Association Europe and Event Hire Association (HAE EHA), along with their training partner HAE Business Guard, are organising the first of a series of courses aimed to improve the ability of the hire industry to support the mental wellbeing of its workforce. 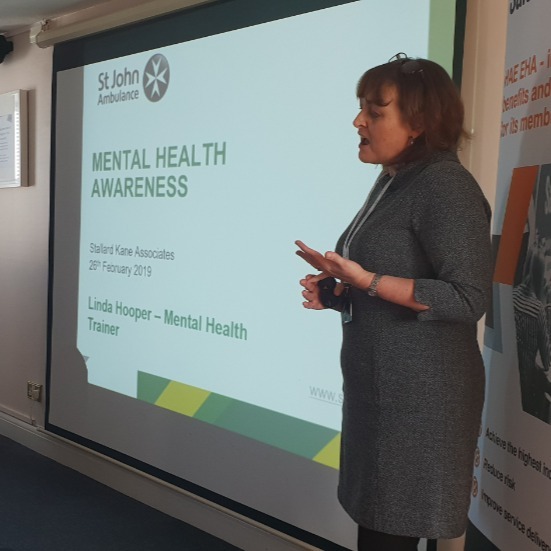 The two-day training event, which will be delivered by St John Ambulance and is endorsed by Mental Health First Aid England, will take place on 21st and 22nd May at the association’s headquarters in Birmingham. The course is available to all members and non-members wishing to promote mental wellbeing in the workplace. This new training programme is designed to raise awareness of common mental health issues that affect the workforce and that can lead to a negative impact on an individual’s wellbeing at work. The course will give employers practical ways to open up a helpful conversation on this topic and then be able to provide their workers with the care and support they need at the most appropriate time. Ultimately, the aim is to change business cultures so that mental health issues are taken as seriously as other health and safety matters. Mental health problems in the construction sector are often due to the innate characteristics of the industry; it is a highly mobile industry with lots of casual workers, uncertain contracts, exacting timelines and is quite macho in culture. Often people don’t feel comfortable in raising personal issues and then muddle along until they can cope no longer. HAE EHA has made it a priority to educate the industry to recognise the signs and symptoms of stress, anxiety and depression before they get out of hand as well as giving businesses the tools and knowledge to assist employees with recovery. Being able to spot the signs of mental illness and offering help and support rather than judgement, should allow employees to thrive at work with the positive and significant knock-on effects that brings to the industry. HAE EHA’s Commercial Manager, Paul Gaze added: “Our main aim is to raise awareness and help support employers to tackle this issue in an informed and positive manner. We want to help the industry and society in general. Everyone has mental health. Some days it’s good and some days it’s bad. It is just a question of making sure that employers are sensitive to this and can support people in the correct way. HAE EHA believes in leading by example and has already signed up to the Building Mental Health (BMH) charter to support its own staff by embedding a wellbeing strategy for its workforce and is encouraging members to do the same. Training staff to become mental health first aiders is a way to provide discreet support for individuals and encourages them to achieve a healthy work-life balance to minimise work-related stress levels.